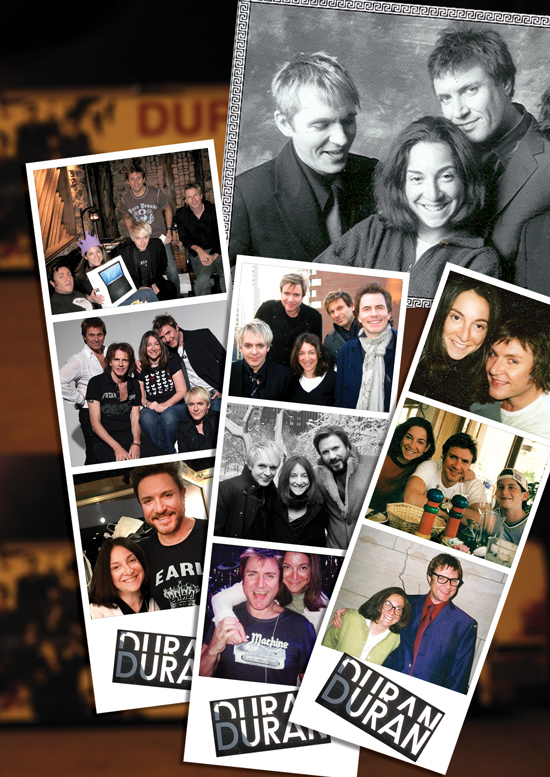 Katy Krassner with Duran Duran over the years. “I had a cell phone as big as my face,” jokes social media strategist Katy Krassner, reflecting on her early career at the Left Bank Organization, a music management company whose roster of clients such as Meatloaf, the Cranberries, Clint Black, and John Mellencamp inspired her daily awe: “All these people I would watch on MTV were real people,” she says. When the company closed its New York offices, Krassner’s solo career in publicity took off—but she never lost touch with one client from those days: Duran Duran. Twenty-something years later, she now directs the band’s online content, managing social media pages and DuranDuran.com, where she interacts with fans (her “Ask Katy” column of fan mail responses was compiled into a book) and shares the latest news—in September, the band released the long-awaited album Paper Gods to universal acclaim.